The beauty of juicing is that it allows you to quickly extract liquid nutrition from fruits and veggies you might not normally eat. You know, like kohlrabi. Or jicama. Both lovely foods that I have absolutely no idea how to prepare into an edible meal. Still, there are some fruits and vegetables that are better consumed whole or in smoothie form. Some just don’t have enough water content to juice while others have a consistency that makes them difficult to juice. 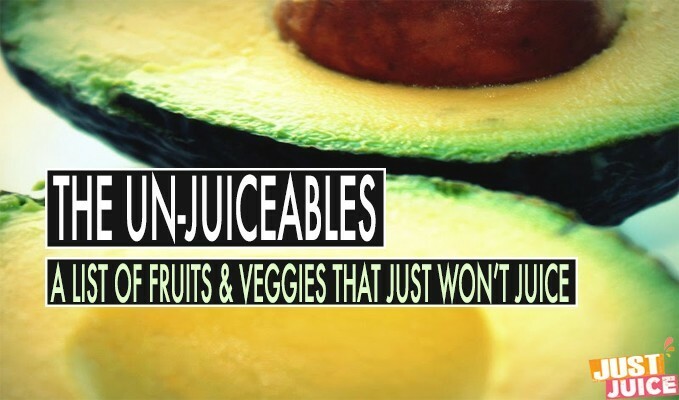 It’s a short list, but it’s good to keep in mind – here they are, an A to Z F list of unjuiceables! Avocados are seriously delicious – I myself have one pretty much every day. They’re a true superfood, filled with almost 20 essential nutrients including potassium, vitamin E, B-vitamins, folic acid, pantothenic acid and tons more. But they have no juice to juice. And this isn’t a bad thing at all. While I love juicing, I also love blending and avocados are ideal for this. They might even be the perfect blending fruit since one of the only fruits packing some serious healthy fats. And did you know that some vegetables deliver maximum health benefits when eaten with a healthy fat? Bananas fall in the same boat as avocados – there’s really no juice to juice. But just because you can’t juice them, doesn’t mean you can’t blend them with your juice. Bananas are an ideal blending fruit that you can toss into your blender with a healthy vegetable juice you just whipped up. And you’ll get extra health perks from that banana: bananas are an amazing source of electrolytes such as manganese and potassium, which helps keeps your heartbeat regular and your muscles working right. These smushy fruits also contain dietary fiber, vitamin C, as well as a sizable dose of vitamin B6. Bananas also are welcome taste additions to juice recipes. Because these fruits have an awesome way of adding sweetness and creaminess to anything they’re added to, you can use half a banana (or a whole one) to instantly sweeten those juices that are a bit rough on your taste buds. And of course – although you can’t juice the banana fruit, you can juice the peels. 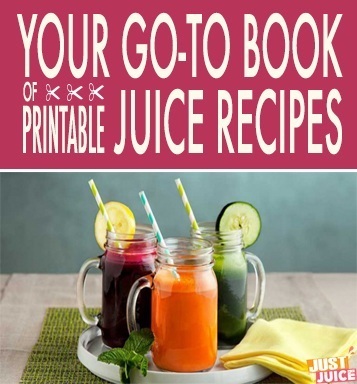 Click here for a full list of fruits and vegetables that can be juiced with peels on. Juice Tip: Peel a bunch of bananas and stash them in your freezer to be blended with any vegetable juice recipe that makes you make a face. Figs are my favorite fruit. In the world. They’re so beautiful and delicious that it doesn’t even bother me that there are dead wasps inside them. In fact, that little fact just makes me love figs more. Did you know that fig fruits are only possible because of a tiny little creature called a fig wasp? These wasps are actually born right inside the figs and once the females hatch, they leave their childhood fig and go out to find a new fig in which to lay roots eggs. And it’s during this journey to greener pastures that the female wasps pick up pollen from the fig’s male flowers and transport it into their new fig, thereby pollinating the seeds that make fig fruit-growing possible. That’s a lovely gross story, you might be thinking, but what about the male fig wasps? Ah, very astute of you to notice. I’m glad you asked, since this is where the story gets good: You see, as soon as the female finds her new home and lays eggs, she dies. And then her children mate (stay with me…). And of course, now the female fig wasps have to get going to find their new homes so the male fig wasps chivalrously chew exit holes for the females. And then they die of exhaustion inside the fig fruit, which digests the dead male wasps as it ripens. Am I the only one that finds this story romantic…? Oh, and of course – these lovely, fleshy fig fruits cannot be juiced. But they are fantastic in a smoothie! So the above 3 are fruits that should absolutely not go into your juicer. But wait…is that all? Just 3 foods?! Eggplant is technically juiceable, ‘though to be honest, I’ve chewed on pencils that’ve tasted better than straight up eggplant juice. That being said, eggplant isn’t an offensive juice at all when combined with sweeter fruits and vegetables like apples and carrots as well as watery fruits and veggies like pineapple, watermelon and celery. Just keep in mind that eggplant is a “juice with caution” veggie because raw eggplant contains something called solanine, which can be poisonous in large doses. Of course, you’d have to juice, like, 40 eggplants to get poisoned but hey, I don’t know what you’re into so just FYI. Like eggplant, you can technically juice leeks but these stringy veggies really put up a struggle and IMHO, are more trouble than they’re worth for the teeny amount of juice they produce. If you don’t have a powerful juicer (and sometimes, even if you do) – leeks will jam your juicer. But if you absolutely MUST have some leek juice, just make sure to only use the more tender, inner layers. And a little leek juice goes a looooong way, so just a few layers will do. Rhubarb. What a funky sounding rhizome. These beautifully colored stalks are juiceable, but they’re not the best to juice. I actually like the taste of rhubarb juice, but I find that it’s pretty hard on my juicer, even when I use only the more tender, inner parts. And to add to that, rhubarb is known to contain oxalic acid – not enough to be toxic, but oxalic acid has been shown to bind with calcium (and magnesium, iron, sodium, and potassium) in the intestine and interfere with your body’s absorption of these minerals. You’ll also really want to avoid eating foods with oxalic acid if you’ve ever been diagnosed with kidney stones. Note: Never eat rhubarb leaves and avoid all rhubarb that has been damaged by severe cold or frostbite since the high oxalic content in the leaves can migrate to the stalks and cause poisoning. Juicing winter squash is really, really difficult. It pains me to say this ’cause I adore winter squash, especially kabocha. But to juice it, you have to first cut it into smaller pieces and have you ever tried to cut a raw winter squash? Impossible…unless you’re a lumberjack. The best way to get all the wonderful nutrients (beta-carotene!) and the delicious sweetness of winter squash is to lightly steam it and then make it into a smoothie or soup – super easy and oh, so good! And of course, there are some foods that are technically juiceable but just aren’t so good to juice. Below is a line-up of the maybe-juiceables you’ll want to think about before juicing! Mangoes can be juiced if you catch them at the right time. The only point at which they’re good to juice is when they’re still pretty firm but just starting to give slightly to the touch – you know, not too soft and not too hard. If you try to juice mangoes a little before or past this time, they won’t juice very well. I always feel a little heartbroken seeing just how much of its deliciousness gets wasted in the process. So if in doubt – mango smoothies are glorious! Papayas are a cool fruit to juice since if you have a strong juicer, you can actually juice the whole thing – peels, seeds and everything! I read somewhere a little while back that papaya peels are not edible, but they really, really are. In fact, papaya skin has a good amount of phytochemicals, like lycopene and polyphenols, that are good for you. The thing about juicing papayas is that you should have a strong juicer capable of doing the job and that you should choose a firmer papaya for juices. If it gets too ripe, it’s best to make it into a smoothie! Note: Papaya seeds have a sharp, spicy taste that you may or may not like in your juice. If you’re into that, juice them – if not, scrape them out. Peaches are another fruit you want to catch at the right time. Go for the hard, hard peaches that you normally wouldn’t consider eating – these are perfect for juicing. Considering this was a post about juicing, I’ve talked an awful lot about blending. Pretty much all the foods on this list are foods that can’t be juiced…but are delicious when blended. Just like how there are so many nutritious foods that don’t do well with a blender but are perfect for juicing. 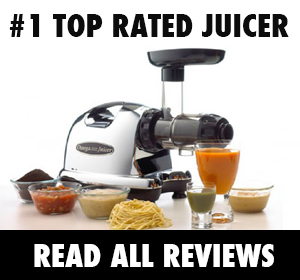 And of course – if you want to do both (a wise idea), you can choose a juicer that is also a blender. 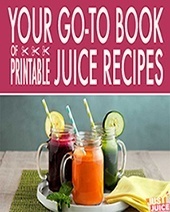 Which just goes to show that these blending and juicing are highly, highly complementary. We actually juice figs regularly the juice isnt abundant per fig but it has a fantastic taste! Here are some others that I don’t recommend juicing. All of these produce more of a slurry than a juice. Excellent for smoothies along with a banana. Hi Brian and thanks for the info! And true that – those do make a delish smoothie lineup! First of all Brian, the article already included mangoes so up your reading comprehension for the next time. I just both Avocados and Banana just fine. I have a very expensive juicer though. 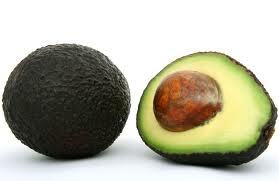 I do not juice the Avocado seed, but I do juice the skin and fruit. I cut the ends off the banana and juice them in diced bits. They both juice fine in my juicer, although I do not like the banana juice. The avocado juice is gross but I like it for some reason. Like one of those things you cringe when you sip but you keep sipping it.